"Lower than budgeted indirect tax revenues and weak divestment proceeds are a source of worry," wrote Radhika Rao, economist at DBS Group Research, in the commentary. "Despite the downbeat year-to-date math, we think that a sizable slippage in the fiscal deficit target is unlikely," the commentary said. 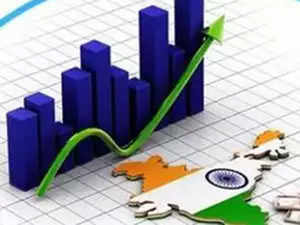 In the first eight months of FY 2018-19, India's fiscal deficit target has overshot by 15 per cent, largely due to a revenue shortfall rather than front-loading of expenditure, Singapore's DBS banking group said in an economic commentary on Thursday. Net direct tax collections have reached the halfway mark. These revenues typically improve towards the end of the year due to end-fiscal flows. Markets are less optimistic of a similar boost in indirect collections, the commentary said. The current run-rate of the government's GST revenues is tracking a shortfall of Rs 70,000-80,000 crore against the annual budget. An equally big concern are divestment efforts, with year-to-date collections still at a fifth of the target of Rs 80,000 crore, the commentary said. To jumpstart the process, plans are to offload minority stake sales, conduct share buybacks and exchange-traded funds by end-year, alongside a possible merger of power sector financing firms. A late push for additional dividends from state-owned entities and the RBI is also likely, with speculation that the central bank might transfer Rs 30,000-40,000 crore (0.2 per cent of GDP) to the state's coffers, which will be in addition to the Rs 40,000 crore assured in August 2018. "We also observe that in recent years, the government has been proactive in jumpstarting expenditure earlier in the year, even if revenues catch-up at a much slower pace," it said. To facilitate this process, the Budget presentation was also brought forward by a month to February. This has led the fiscal run-rate to worsen progressively for three-fourths of the year and then moderate in the final quarter as expenditure is curtailed and seasonal revenue flows kick-in, it said.